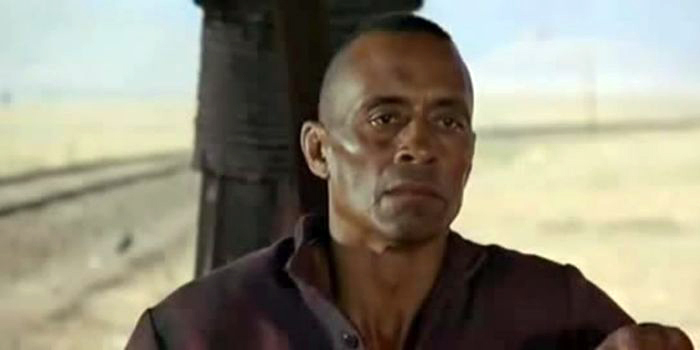 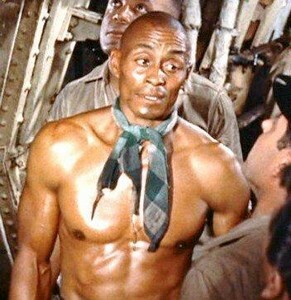 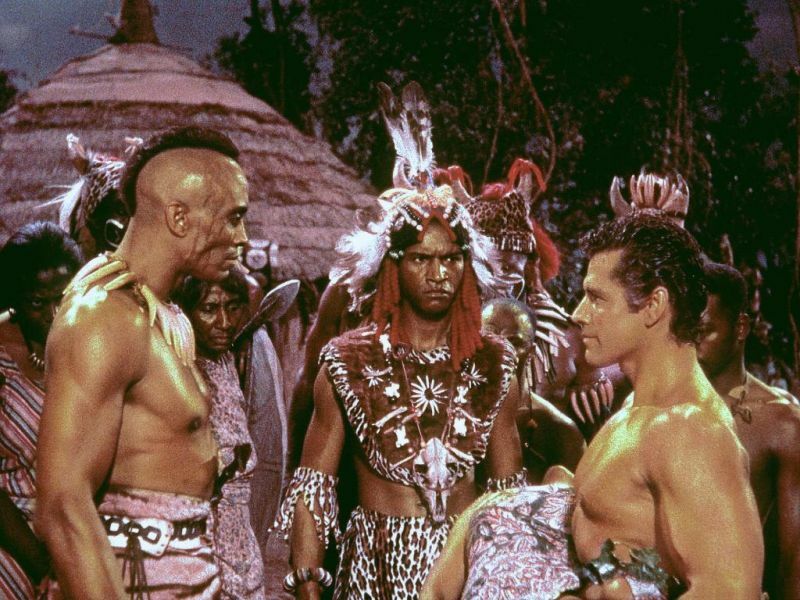 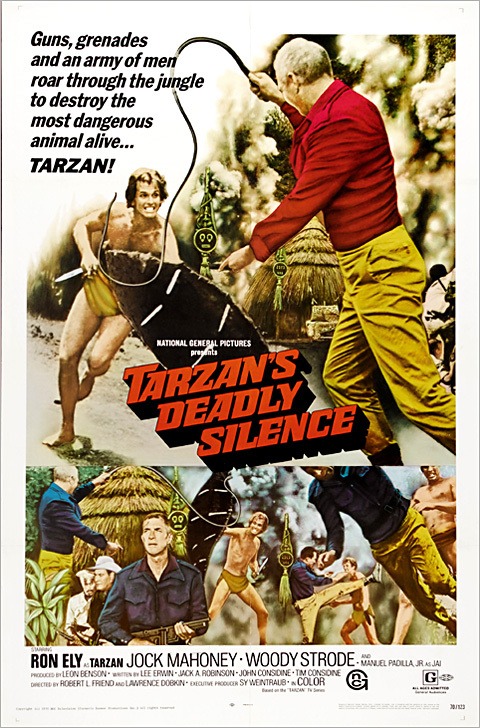 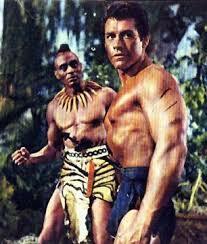 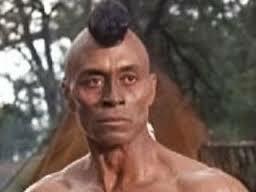 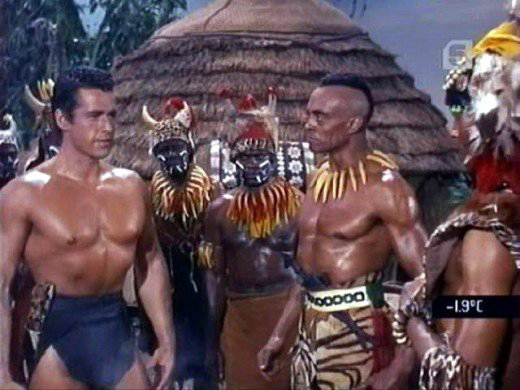 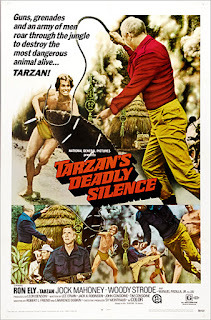 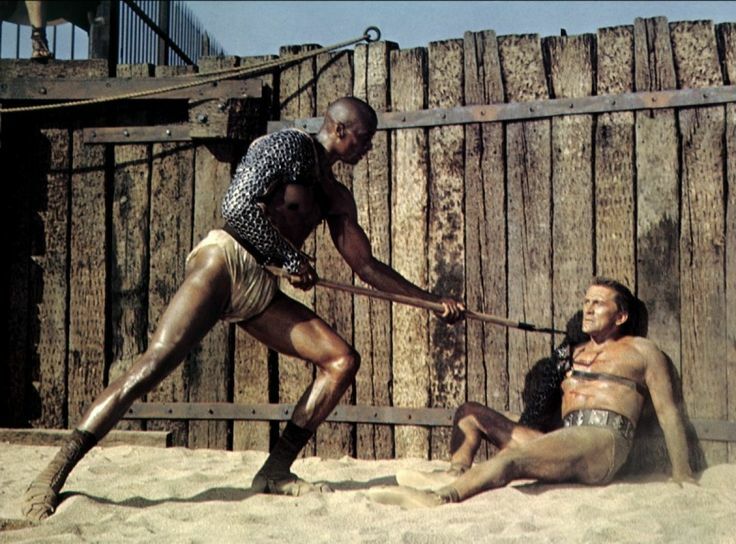 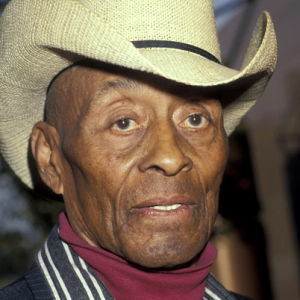 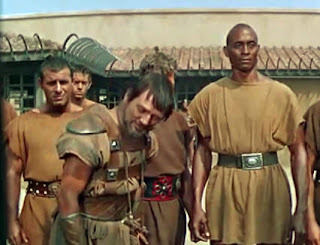 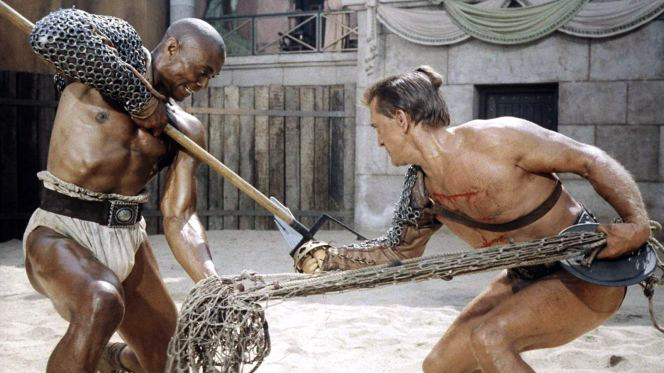 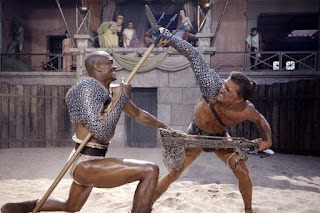 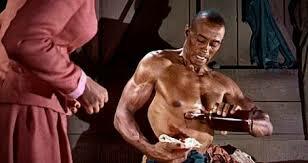 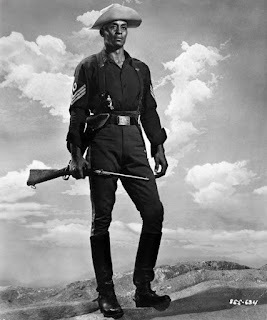 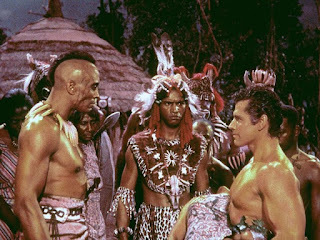 Rams end Woody Strode had a tremendous career, among the most successful of the NFL players who turned to acting. 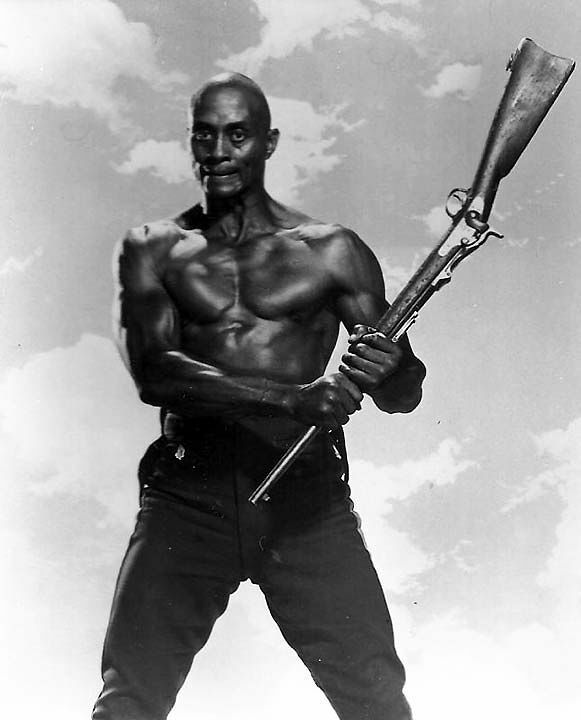 IMDB lists his 91 credits and their website. 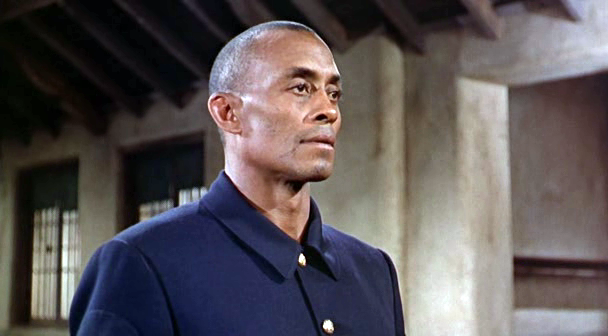 Here are some screen shots from various roles he played.